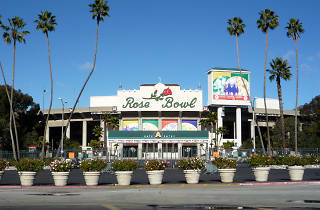 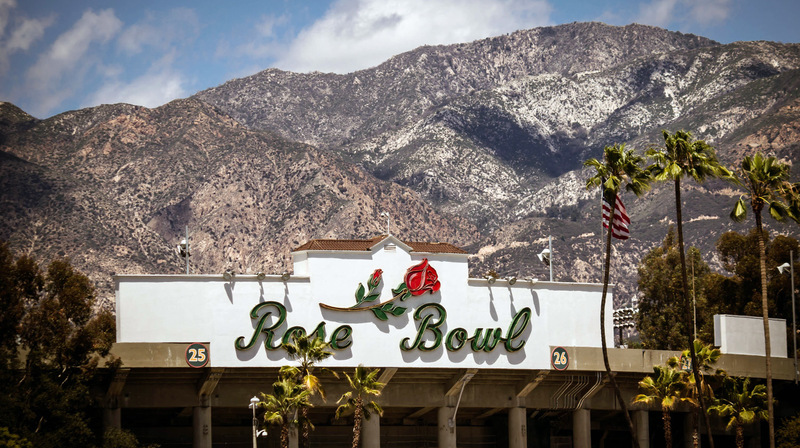 Photograph: Bobak Ha'Eri Rose Bowl Stadium. 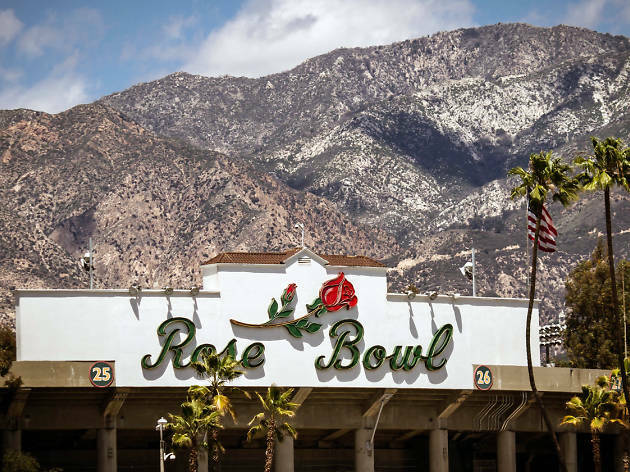 Built on top of the Arroyo Seco dry riverbed, this 90,000-seat stadium has been used for NFL tournaments, auditions of American Idol, the Guns N' Roses/Metallica tour, and a yearly fireworks show every fourth of July. 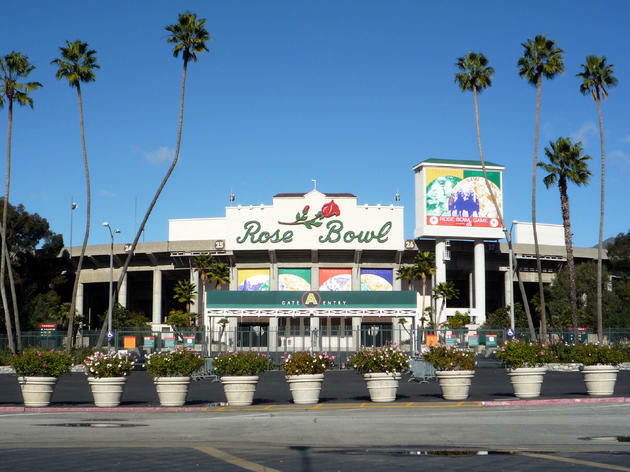 It is also, of course, home to the UCLA Bruins football team and the annual New Year's Day NCAA Tournament of Roses game, which is preceded by the spectacular Tournament of Roses parade. 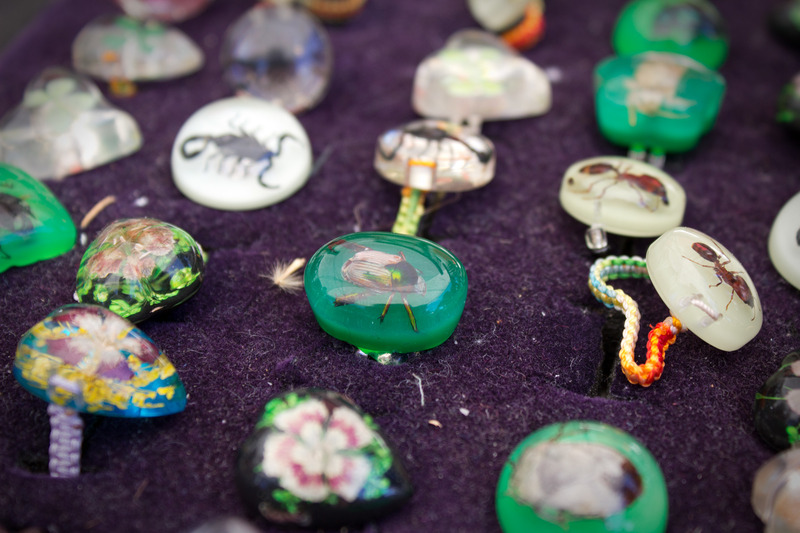 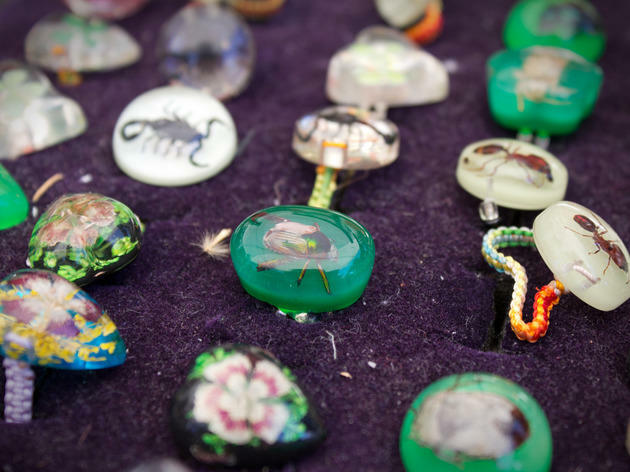 On the second Sunday of each month, the bowl is home to the world's largest flea market.